PNC Chairman and Chief Executive Officer James E. Rohr is quoted in the Balitomore Sun as saying that Dodd Frank would raise costs and that those costs would ultimately be passed along to the customers. Now Riskviews is not trying to suggest that Dodd Frank is necessarily good risk management. But risk management, like regulation, usually has a definite cost and indefinite benefits. The opponents of Dodd Frank, like the opponents of risk management will always point to those sure costs and a reason not to do regulations or risk management. But with Dodd Frank, looking backwards, it is quite easy to imagine that more regulation of banks could have a pennies to millions cost – benefit relationship. The cost of over light regulation of the banks was in the trillions in terms of the losses in the banks plus the bailout costs to the government PLUS the costs to the economy. Everyone who has lost a job or lost profits or lost bonuses or who will ultimately pay for the government deficit that resulted from the decreased economic activity have or will pay the cost of underregulated banks. The same sort of argument can be made for risk management. The cost of good risk management is usually an increase to costs or a decrease to revenues in good times. This is offset by a reduction to losses that might have been incurred in bad times. This is a view that is REQUIRED by our accounting systems. A hedge position MUST be reported as something with lower revenues than an unhedged position. Lack of Risk Management is REQUIRED to be reported as superior to good risk management except when a loss occurs. Unless and until someone agrees to a basis for reporting risk adjusted financials, this will be the case. Someone who builds a factory on cheap land by the river that floods occasionally but who does not insure their factory MUST report higher profits than the firm next door that buys expensive flood insurance, except in the year that the flood occurs. A firm that operates in a highly regulated industry may look less profitable than a firm that is able to operate without regulation AND that is able to shed most of their extreme losses to the government or to third parties. Someone always bears those risk costs. But it is a shame when someone like Rohr tries to make that look as if the cost of regulation are the only possible costs. Everyone knows the first step – Identify your risks. But what should you do SECOND? The list of ERM practices is long. Riskviews uses an eight item list of ERM Fundamentals to point the way to early ERM developments. 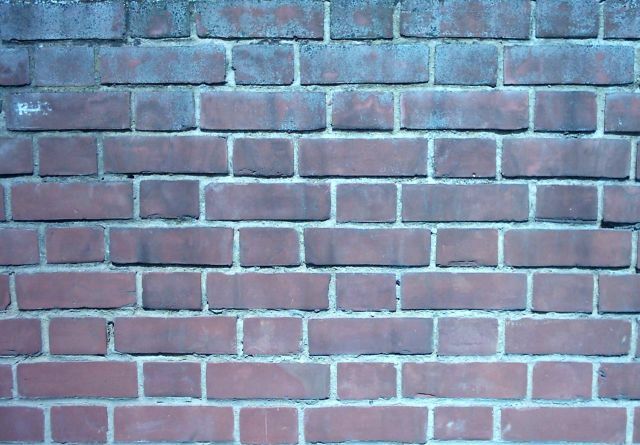 And you want to make sure that you avoid Brick Walls and Touring Bikes. But the Second Step is not a practice of ERM. The Second Step is to identify the motivation for risk management. As mentioned in another post, there are three main motivations: Compliance, Capital Adequacy and Decision making. If Compliance is the motivation, then the ERM development process will be to obtain or develop a checklist of items that must be completed to achieve compliance and to work to put something in place for each of those items that will create the ability to check off that item. If Capital Adequacy is the motivation, then building an Economic Capital model is the main task that is needed for ERM development. If Decision making is the motivation, then the process becomes somewhat more involved. Start with identifying the risk attitude of the firm. Knowing the risk attitude of the firm, the risk management strategy can then be selected. Each of the ERM Fundamentals can then be implemented in a way that is adapted to the risk strategy. This process has been described in the post Risk Attitudes and the New ERM Program. But knowing the motivation is key. A newly appointed risk management officer might have fallen in love with literature describing the Risk Steering strategy of ERM. They would set up a big budget for capital modeling and start to set up risk committees and write rules and policy statements…..
And then hit a brick wall. That is because they did not clearly identify the motivation for their appointment to be the risk management officer. The term ERM actually means something totally different to different folks. Usually one of the three motivations: Compliance, Capital Adequacy, or Decision Making. A company that is primarily motivated by Capital Adequacy will have minimal interest in any of the active parts of the ERM practices. A company motivated by compliance will want to know that each and every step in their ERM process satisfies a requirement. Talking about enhanced decision making as the reason for steps in the ERM development process will either confuse or even anger management of these companies. 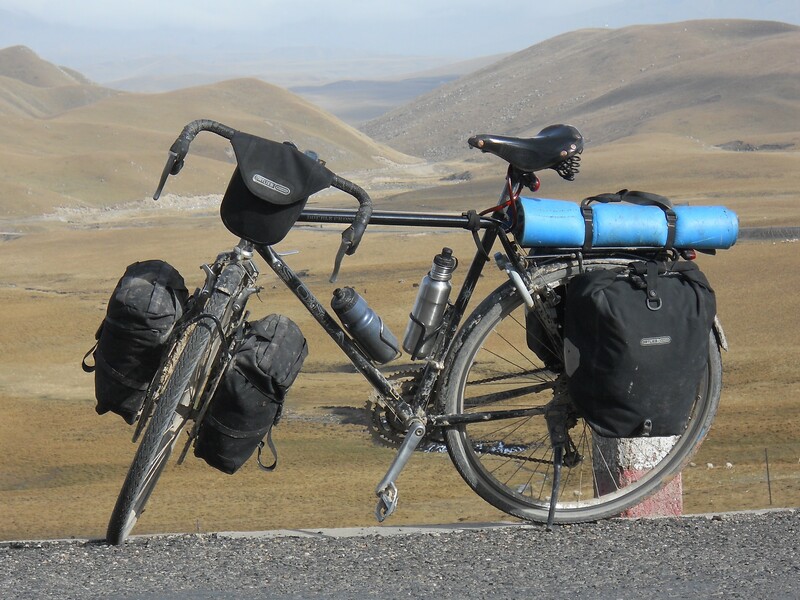 The reaction to a mismatch of ERM program to motivation is similar to someone who booked a cruise for their vacation and found themselves on a cross country biking tour. Keep that contrast in mind when you are making your plans for a new ERM system. Capital estimation for Liquidity Risk Management is a difficult exercise. It comes up as part of the internal liquidity risk management process as well as the internal capital adequacy assessment process (ICAAP). This post and the liquidity risk management series that can be found at the Learning Corporate Finance blog suggests a framework for ongoing discussion based on the work done by our team with a number of regional banking customers. By definition banks take a small Return on asset (1% – 1.5%) and use leverage and turnover to scale it to a 15% – 18% Return on Equity. When market conditions change and a bank becomes the subject of a name crisis and a subsequent liquidity run, the same process becomes the basis for a death chant for the bank. We try to de-lever the bank by selling assets and paying down liabilities and the process quickly turns into a fire sale driven by the speed at which word gets out about the crisis. Reducing leverage by distressed asset sales to generate cash is one of the primary defense mechanisms used by the operating teams responsible for shoring up cash reserves. Unfortunately every slice of value lost to the distressed sale process is a slice out of the equity pool or capital base of the bank. 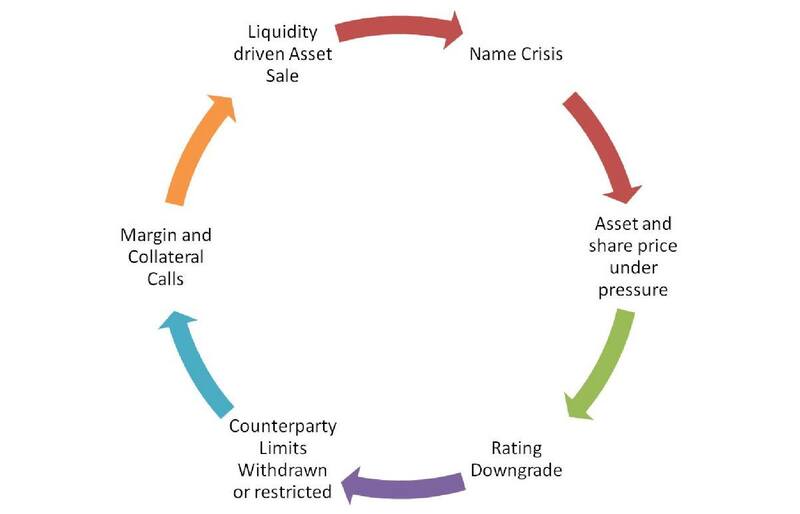 An alternate mechanism that can protect capital is using the interbank Repurchase (Repo) contract to use liquid or acceptable assets as collateral but that too is dependent on the availability of un-encumbered liquid securities on the balance sheet as well as availability of counterparty limits. Both can quickly disappear in times of crisis. The last and final option is the central bank discount window the use of which may provide temporary relief but serves as a double edge sword by further feeding the name and reputational crisis. 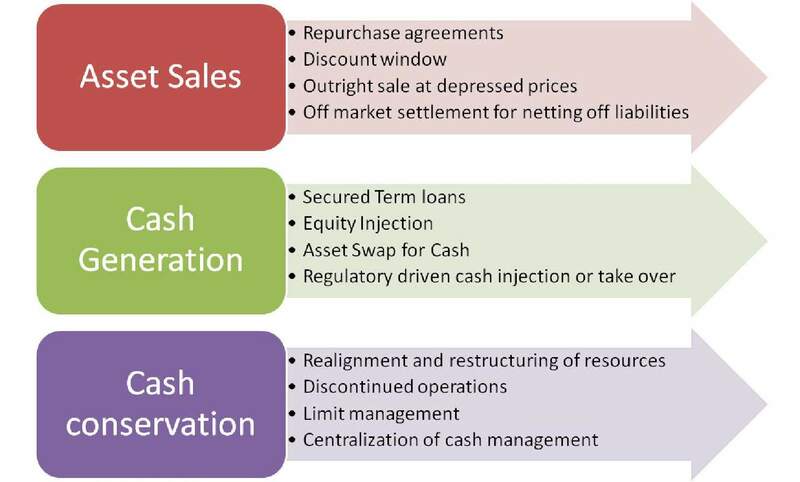 While a literature review on the topic also suggest cash conservation approaches by a re-alignment of businesses and a restructuring of resources, these last two solutions assume that the bank in question would actually survive the crisis to see the end of re-alignment and re-structuring exercise. A questionable assumption that often comes up when we review Liquidity Contingency Plans is the availability or usage of Statutory Liquidity and Cash Reserves held for our account with the Central Bank. You can only touch those assets when your franchise and license is gone and the bank has been shut down. This means that if you want to survive the crisis with your banking license intact there is a very good chance that the 6% core liquidity you had factored into your liquidation analysis would NOT be available to you as a going concern in times of a crisis. That liquidity layer has been reserved by the central bank as the last defense for depositor protection and no central bank is likely to grant abuse of that layer. As the Bear Stearns case study below illustrate the typical Liquidity crisis begins with a negative event that can take many shapes and forms. The resulting coverage and publicity leads to pressure on not just the share price but also on the asset portfolio carried on the bank’s balance sheet as market players take defensive cover by selling their own inventory or aggressive bets by short selling the securities in question. Somewhere in this entire process rating agencies finally wake up and downgrade the issuer across the board leading to a reduction or cancellation of counterparty lines. Even when lines are not cancelled given the write down in value witnessed in the market, calls for margin and collateral start coming in and further feed liquidity pressures. What triggers a Name Crisis that leads to the vicious cycle that can destroy the inherent value in a 90 year old franchise in less than 3 months. Typically a name crisis is triggered by a change in market conditions that impact a fundamental business driver for the bank. The change in market conditions triggers either a large operational loss or a series of operation losses, at times related to a correction in asset prices, at other resulting in a permanent reduction in margins and spreads. Depending on when this is declared and becomes public knowledge and what the bank does to restore confidence drives what happens next. One approach used by management teams is to defer the news as much as possible by creative accounting or accounting hand waving which simply changes the nature of the crisis from an asset price or margin related crisis to a much more serious regulatory or accounting scandal with similar end results. Figure 3 What triggers a name crisis? The problem however is that market players have a very well established defensive response to a name crisis after decades of bank failures. Which implies that once you hit a crisis the speed with which you generate cash, lock in a deal with a buyer and get rid of questionable assets determined how much value you will lose to the market driven liquidation process. The only failsafe here is the ability of the local regulator and lender of last resort to keep the lifeline of counterparty and interbank credit lines open. As was observed at the peak of the crisis in North America, UK and a number of Middle Eastern market this ability to keep market opens determines how low prices will go, the magnitude of the fire sale and the number of banks that actually go under. 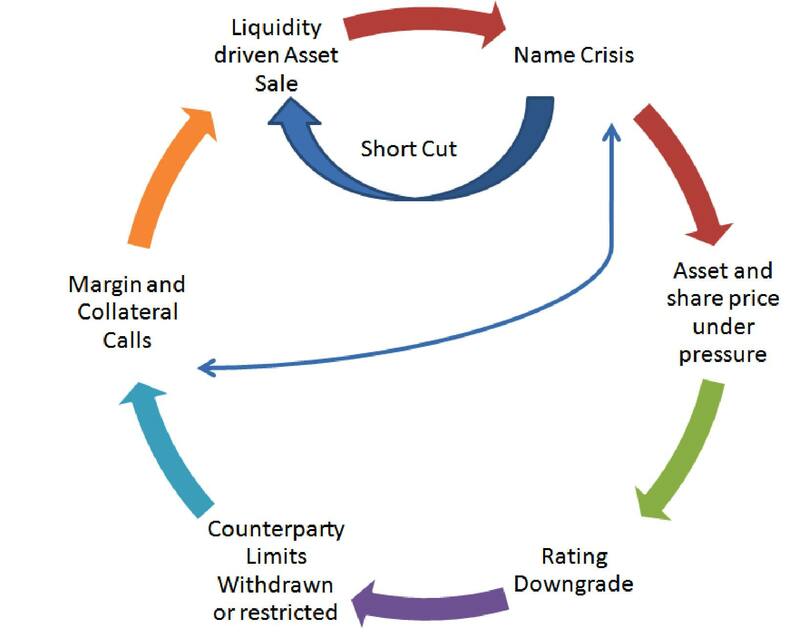 Figure 4 Market response to a Name Crisis and the Liquidity Run cycle. The above context provides a clear roadmap for building a framework for liquidity risk management. The ending position or the end game is a liquidity driven asset sale. A successful framework would simply jump the gun and get to the asset sale before the market does. The only reason why you would not jump the gun is if you have cash, a secured contractually bound commitment for cash, a white knight or any other acceptable buyer for your franchise and an agreement on the sale price and shareholders’ approval for that sale in place. 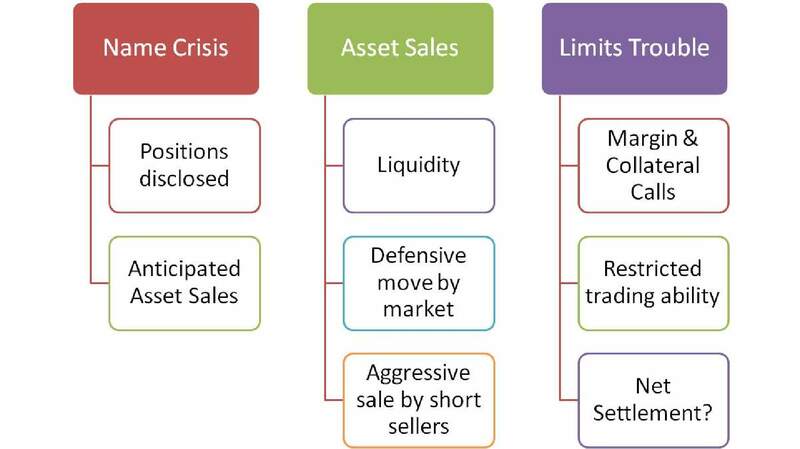 If you are missing any of the above, your only defense is to get to the asset sale before the market does. a) The crisis is temporary and will pass. If there is a need we will sell later. b) We can’t accept these fire sale prices. c) There must be another option. Please investigate and report back. This happens especially when the liquidity policy process was run as a compliance checklist and did not run its full course at the board and executive management level. If a full blown liquidity simulation was run for the board and the senior management team and if they had seen for themselves the consequences of speed as well as delay such reaction don’t happen. The board and the senior team must understand that illiquid assets are equivalent of high explosives and delay in asset sale is analogous to a short fuse. When you combine the two with a name crisis you will blow the bank irrespective of its history or the power of its franchise. When the likes of Bear, Lehman, Merrill, AIG and Morgan failed, your bank and your board is not going to see through the crisis to a different and pleasant fate. There are three news items about changes to approach by two rating agencies and a regulator. S&P announced that they are now going forward with reviewing internal capital models for consideration in their view of capital adequacy. The IAIS has adopted an Insurance Core Principal (ICP 16) that requires that all insurance regulators adopt requirements that insurers should perform an Own Risk and Solvency Assessment (ORSA) and the NAIC will be starting to announce their plans for compliance with this in mid-February. The place for insurers to stand and ignore ERM is shrinking quickly. Economic Capital Modeling – a large fraction of people think that ERM means Economic Capital modeling. So when they hear that rating agency or regulator wants to hear about ERM, they might say that they do not have one, so there is nothing to talk about. The S&P announcement confirms their belief. They read the Best SRQ questions and only see the spots that require numbers, completley ignoring as unimportant the parts about culture. Compliance with rating agency or regulatory requirements. These three news items are strong motivators for those who think that ERM is compliance. These folks had heard AM Best asking about ERM, but saw no outcome from that process so they eventually lost interest in ERM themselves. Now they are back to being interested. The ORSA idea is confusing to these folks, because they already are doing their compliance regarding capital adequacy. The ORSA seems like redundant regulation to them. They do not see the shift of responsibility from the regulator to the board and management that is fundamental to the ORSA idea. Management decision making. These firms are using ERM to enhance their decision making processes. They hear these announcements and are annoyed at the additional distraction from the real risk management. Some of them will not change what they are doing at all to enhance their “score” with the rating agencies or regulators. There is too much of the firm;s real value at stake to risk changing their risk management program to suit these outsiders who do not know much about the company or its risks. The news comes in threes and the reactions comes in threes as well.